The Delhi High Court on Friday dismissed a plea seeking cancellation of anticipatory bail granted to former TERI Executive Vice Chairman R.K. Pachauri, who is accused in a sexual harassment case by a former employee. The petition, filed under Section 439(2), read with Section 482 of the Criminal Procedure Code, assailed an earlier order of the Court, and demanded cancellation of Mr. Pachauri’s anticipatory bail granted in March, 2015. 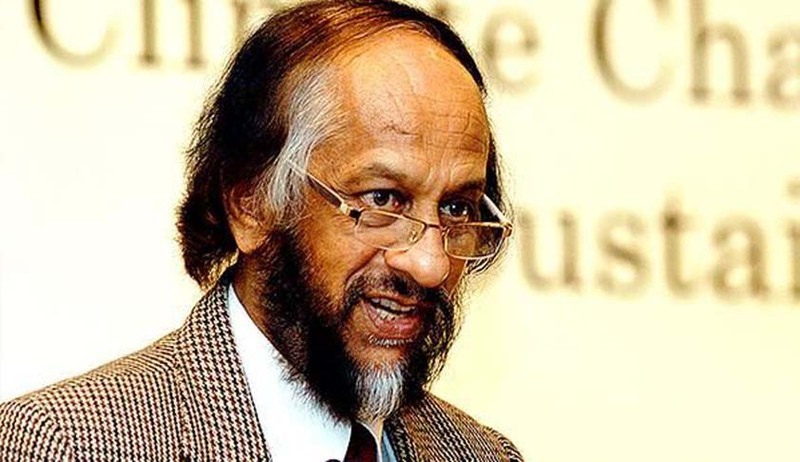 A research analyst at The Energy & Research Institute had filed a complaint with the Internal Complaints Committee in February, 2015, alleging sexual harassment by Mr. Pachauri. She had alleged sexual harassment at her work-place on various dates and locations between September, 2013 and December, 2014. She had also alleged that Mr. Pachauri had engaged in sexually laden conversations with her over emails and text messages. When the harassment continued, she approached the Police, alleging various offences including that of sexual harassment. The Police however registered the FIR only after the allegations received media attention. The complainant brought to the Court’s notice that the Investigating Officer had opposed the grant of anticipatory bail to Mr. Pachauri, as he was capable of exercising extreme influence over the witnesses. It was alleged that since Mr. Pachauri was working as the Director General of TERI for the last 34 years, he had complete control over all electronic devices and computers. The accused was however granted anticipatory bail in March, 2015, with certain conditions incorporated therein. Questioning the justifiability of this order, the petitioner now urged before the High Court that the trial Court did not appreciate the documents filed by the investigating agency. These documents, she claimed, revealed that the accused had influenced the witnesses and had directed them to state whatever he desired them to state before the police. It further submitted that TERI officials, at Mr. Pachauri’s behest, did not cooperate with the Probing Agency and regularly avoided accepting official notices on one pretext or the other. The petition hence claimed that free and fair investigation cannot be carried out if Mr. Pachauri is permitted to roam around freely and “keep influencing and dictating the witnesses”. The Court noted that the investigation was almost complete and that the charge sheet was expected to be filed within two weeks. The Investigating Officer also did not press for custodial interrogation of the accused. The Court then ruled that the impugned order was based upon fair appraisals of materials and that all relevant aspects were considered minutely while granting bail.